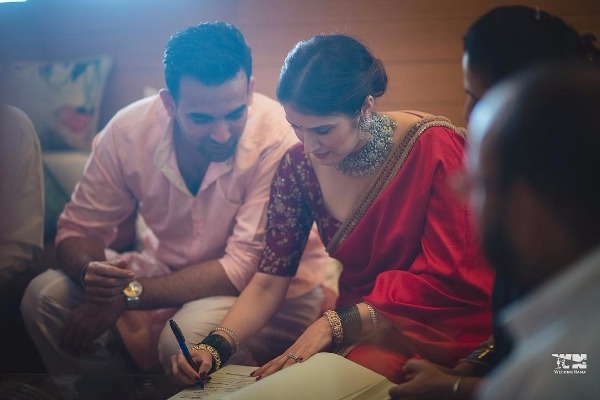 To avoid all the unnecessary troubles, couple Sagarika Ghatge and Zaheer Khan chose to go for registered marriage. 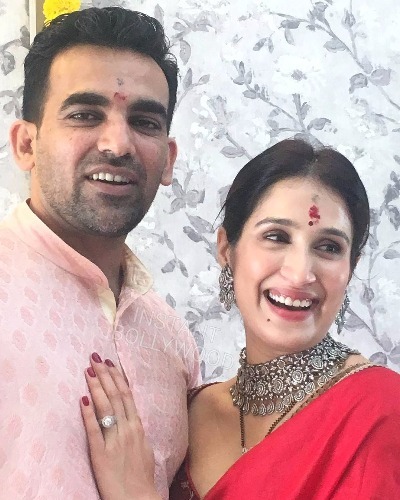 Sagarika and Zaheer got engaged in May 2017 attended by Virat-Anushka, Sachin Tendulkar-Anjali and others. The couple got hitched on Thursday, Nov 23. The couple’s simple court wedding photos are going viral on the internet. They are officially husband & wife now. 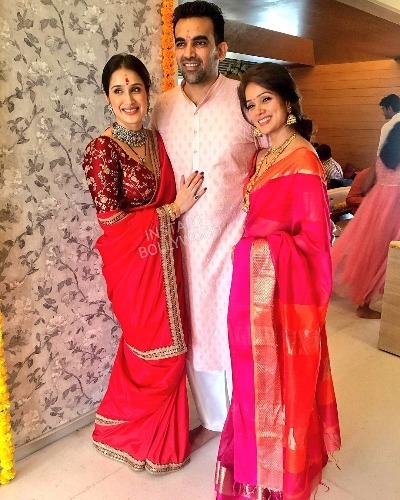 Zaheer Khan, Sagarika Ghatge and Vidya M Malavade posed together after wedding. Sagarika Ghatge looked absolutely gorgeous in simple orange color saree paired with maroon embroidered blouse. She wore green glass bangles like a marathi bride and heavy oxidized choker necklace with matching earrings. She looked elegant with her hair in a tight bun. The groom, Zaheer Khan wore soft pinke color kurta- Pajama with a bright smile. 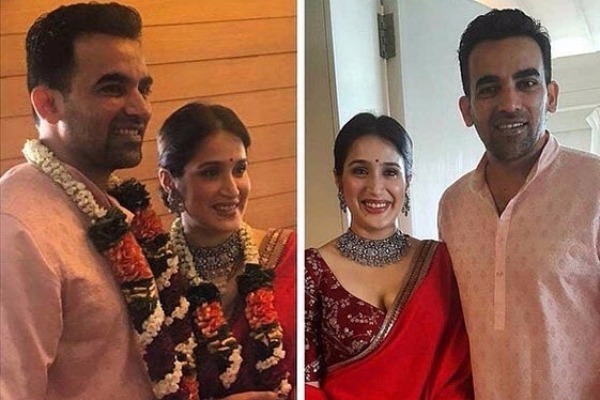 Zaheer Khan and Sagarika Ghatge will host a grand cocktail party for the friends. The couple will also have a grand wedding reception party on Nov 27 at Mumbai’s Taj Mahal Palace and Tower for Bollywood celebs and cricketers. Congratulation to Zaheer Khan and Sagarika Ghatge on their wonderful new beginnings.